Why Do Cats Rub Against Stuff? In case you have a British shorthair or an American curl as a pet, you may notice some of its bizarre acts. For instance, it may rub sides of face or head against your legs, the main entrance door or almost anything. This may have left you wondering what makes cats resort to enacting such oddball acts. It certainly cannot be that its chin or cheeks are itching all the time. It appears as if it is trying to caress itself or trying to get your attention. But cats don’t have to make any extra efforts to attract your attention as their absolute cuteness instinctively titillates you to give them a cuddle. So, why does your kitty rub against stuff? A cat often rubs its face or head to claim its presence in the surroundings. Quite often the bunting acts as a sort of time stamp or mark to let other cats know how recently it left. Relatively fresh markings indicate that the territory has been marked out and other cats should leave this area to avoid conflicts. Just as dogs mark their territories by urinating in a particular area or by digging on the ground, cats stake their claim by rubbing against things or persons they prefer to leave their unique scents on them. In case you have more than one cat, you’ll notice that cats usually go around and sniff an object, arch their bodies up and then press or massage against that object. Cats want to reinforce the feeling amongst themselves that they together make up a close-knit group. The cat’s act of pressing against your face or legs every time you enter the house is an indication that you too are being claimed and reclaimed as a group member. Your pet cat could also be sending out specific signals that it is hungry or that it wishes to go outdoors by pressing against you. If it strokes against another cat of its tribe, then your cat may want you to give it a grooming. If it wants to play outside, your cat might rub against you, telling you to open the door. You may have spotted cats in your households or elsewhere lightly knocking or ramming their heads against each other. Sometimes, it even butts its head against you often followed by purring. Such acts indicate that your cats have an excellent rapport with each other as well as with you. This is the third most common behavioral pattern that answers the question, "Why do cats rub against stuff?" 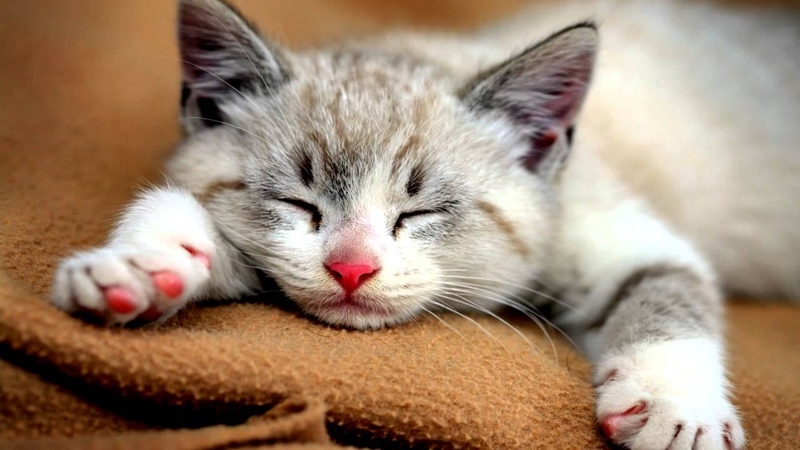 Scent glands are to be found almost all over a cat’s body including the chin, head, lips, paws, tail and the flanks, which ooze a chemical substance known as pheromone. When the cat presses or strokes its body against other felines or you, it leaves its scent behind. Though you cannot smell the pheromones, the scent surely can be picked up by cats. The rubbing act which is termed as "bunting" is usually done with the head and the cat generally chooses to bunt on objects or things are easily distinguishable or prominent like a high chair, the leg of a long settee or the corner of a wall. The scent trail left by pheromones conveys a particular feline’s reproductive status, or his or her identity, etc. Tomcats are given to bunting more than queen cats. Bunting stamps or marks during the mating season strongly imply that the cat is looking forward to mate. In this context, tomcats eagerly look out for marks left by females more than the other way round. Sometimes, a cat may bunt in order to gain a better understanding of his or her immediate environment as well as to find out more about other cats or humans they’re not familiar with. A brunt or a rubbing of the head with other cats is also a way of greeting. Undomesticated or wild cats that live in cohesive groups resort to this type of behavior to demonstrate their allegiance to the group. Sometimes, the scent marks indicate that the feline is trying to adapt itself in surroundings or environment it is not familiar or comfortable with. When the pheromones released during bunting contain synthetic elements, it is a sign that the cat is nervous, unduly distressed and trying to relax. Scent-marks are not anything long-term, so the feline often comes back to leave a fresh mark after sometime. Yes, you’d be right to infer that your feline pet is in high spirits if you catch it purring. But at the same time, it may also be a sign that it is inflicted with an injury or that it is not keeping well. The purring may be an invitation for you to stay and not leave it alone. If you spot your cat swishing its tail quite rapidly, it's a strong signal that it feels threatened and is displaying aggressive demeanor. In such a circumstance, first see whether the surroundings are safe for your cat and thereafter offer it food to soothe its mood. A cat would meow or hiss aggressively to let others know that it is not happy with what’s going on and may also indicate that it feels jeopardized. So, you have known almost all the possible answers to the question, "why do cats rub against stuff?". If you’ve any suggestions of your own, please feel free to leave comments below. Server responsed at: 04/19/2019 10:19 p.m.